Octavia Shelton thought she'd have a different life. One where she travelled the world with an exotic husband and free-spirited children in tow. Instead she's married to safe, reliable Jonathan, and her life now consists of packed lunches, school runs and mountains of dirty washing. She's not unhappy. It's just that she can barely recognise herself. So as Octavia watches her best friend's marriage break up, it gets her thinking. What if life could be different? What if she could escape and rediscover the person she used to be? 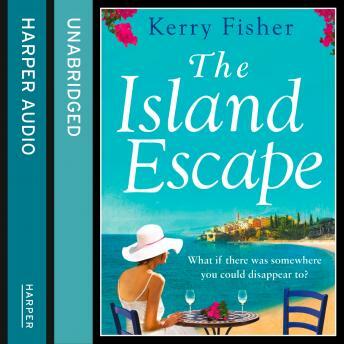 Escape back to the island she visited years ago? And what if the man she used to love was there waiting for her?